Recently, I have shared with you the findings of my research on the future of work. Various workplace experts report that artificial intelligence will replace many of today’s jobs. And yet, there are many positions and skills that artificial intelligence simply can’t replace. Today, I want to shed light on why emotional intelligence will be more important than ever in the future, and how you can make it part of your professional toolkit. That translates to the ability to listen with empathy, understand the needs of co-workers and customers, and manage conflict calmly and effectively. Nearly every job, at every level of an organization, includes the need for such skills. 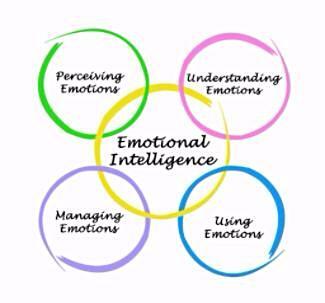 In his book, Working with Emotional Intelligence, Daniel Goleman lists five key traits that comprise emotional intelligence. Those include: Self-Awareness, Self-Regulation, Motivation, Empathy, and People Skills. understand, and manage your own emotions. influence the emotions of others. • Managing the insubordinate individual who thinks he should have gotten the promotion you received. In each of these cases, these individuals lack the self-awareness to understand the impact of their behavior on others, the self-regulation to manage inappropriate impulses or both. Artificial intelligence and automation are surely changing the landscape of work and disrupting the content of daily work. Nevertheless, I believe there are many situations that simply can’t be handled effectively by machines. This includes jobs requiring skills in leadership, creativity, problem-solving, innovation, empathy, care-taking, and negotiation, to name a few. So let’s assume not all jobs will be taken over by the machines. What can you do to foster your emotional intelligence? Look to increase your awareness of the emotions you experience at work. Endeavor to manage how you express those emotions more proactively. Check back for future blog posts as we explore resources and tools to continue building your emotional intelligence.